On January 10, 2005, pilot Joseph Schaffer and flight paramedic Nicole Kielar were killed when LifeEvac 2, a Eurocopter EC135 helicopter, crashed into the Potomac River south of Washington, D.C. The sole survivor of the accident was flight nurse Jonathan Godfrey, who has now written a book about the crash and its aftermath. 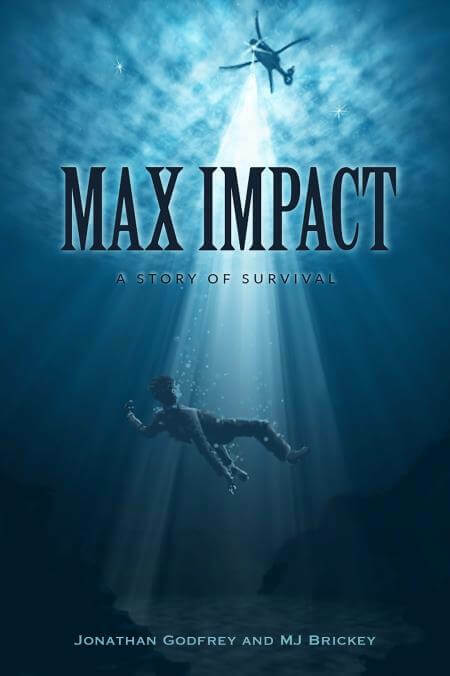 Godfrey will be at HAI Heli-Expo 2017, March 7 to 9 in Dallas, Texas, to sign copies of Max Impact: A Story of Survival. In advance of the show, we caught up with him to learn more about the book and the writing process. 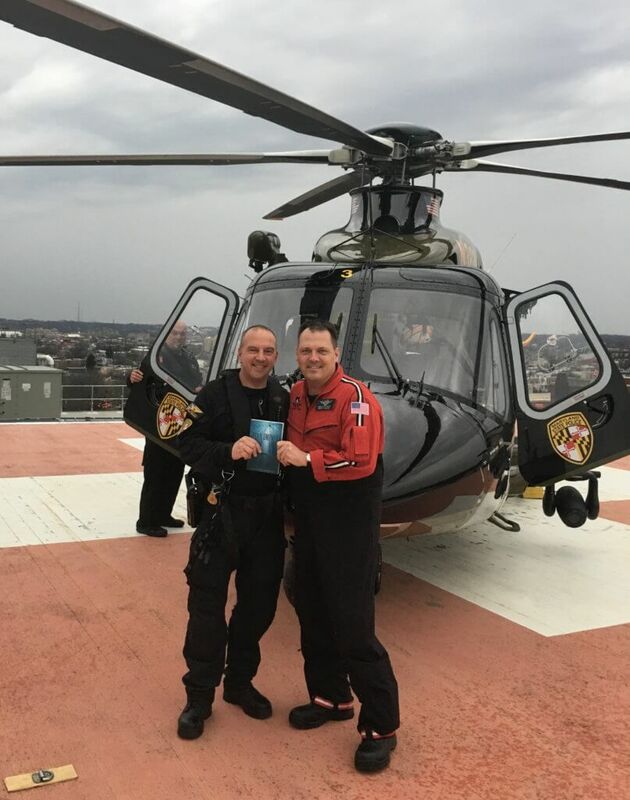 Vertical: In the years since your accident, you’ve become well known in the industry as a safety advocate and as a co-founder of the Survivors Network for the Air Medical Community. What made you decide the time was right to write a book? Jonathan Godfrey: I have wanted to write the book for the past five or six years. Co-author MJ Brickey is a national award-winning journalist. She interviewed and wrote the first-hand accounts of my rescuers and friends. She encouraged and pointed me in the right direction and kept me on task. I also wanted to share the stories of Nikki and Joe, their legacies, and the other EMS, police and healthcare providers that were impacted by this one crash and rescue. Their stories being told are so important. Vertical: Your book opens with an incredible first-person account of the LifeEvac 2 crash. What was it like revisiting that experience and committing it to print so vividly? JG: It was painful at times. Tears rolled down my face as I revisited memories. However, I wrote much of the initial hours of survival and rescue just days after the crash, because I was having a terrible time trying to sleep. Typing the words in as much detail as I could recall was cathartic. It was a relief to, in some way, get some of it out of my head. Revisiting it again, in such detail and especially with my rescuers, was both deeply saddening and inspiring. These people are real-life heroes. I went with MJ Brickey to most of the interviews with my rescuers. Details surfaced I never knew. I was reliving the moments with them. Starting the book under water, suffocating, strapped to my seat on the floor of the river is gripping. The reader immediately gets a taste of my experience and it does not relax for a long time. Vertical: What were the most difficult aspects of working on the book? What were the most enjoyable and/or rewarding? JG: The most difficult aspect, apart from the emotions, was navigating the process of writing and editing over and over until we felt that it was ready to publish. It took months of burning the candle at both ends with an already busy lifestyle. We set deadlines for ourselves and pushed hard to meet them. I enjoyed the interviews with rescuers and friends. It was an indescribable feeling to hear their passion, excitement, and to learn their stories. There is a bond I have with each of them that is amazing and strong. We all share a mutual admiration for each other. Vertical: What do you hope people will take away from reading Max Impact? JG: I want them to be entertained but I want them to be enlightened by the messages of safety, survivability, survivorship, safety culture, and I want them to be inspired and see the value in turning the impact of this tragedy into positive waves that for years will change hearts, minds, and encourage personal vigilance. Nikki and Joe were not just co-workers, they were friends. I want to share their lives and legacies so that they will be remembered for a very long time. Miracles happen. The crazy coincidences that have happened over the years, and continue to happen, along the way, and not just that night. Some stories of coincidence did not make it into the book such as the circumstances and serendipitous chain of events that brought MJ Brickey and I, to write the book. MJ Brickey says, “Jonathan lives with his mind blown,” because of all the personal stories, ripple effects, and small world scenarios that continue to develop and surface from the impact of the crash — I’m continuously awestruck.